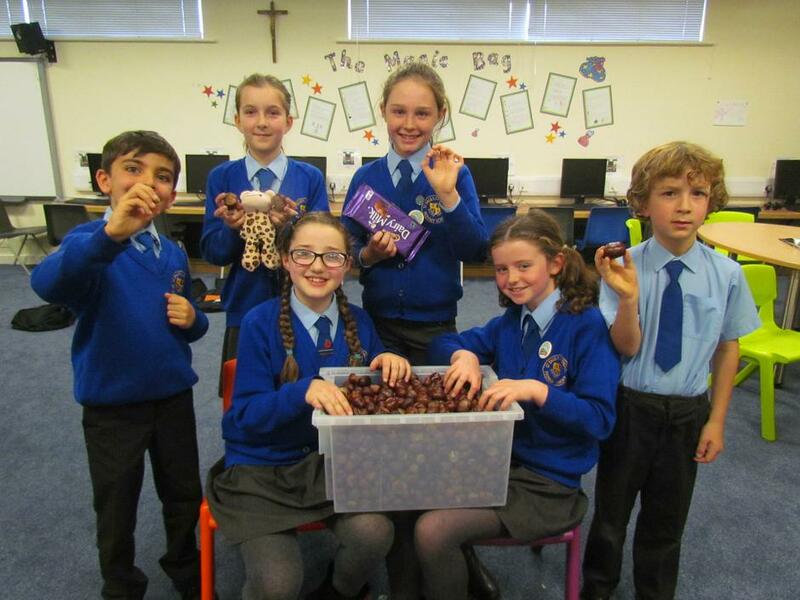 Over the last few weeks St. Paul's pupils were set the challenge of finding the biggest and smallest conkers for the 'Annual Conker Competition'. During last week's celebration assembly the children were given the opportunity to 'showcase' their conkers. It was a close competition with some superb conker specimens on display but with ruler at the ready the winners were announced. Prizes were awarded to pupils from Years 6,5 and 3. 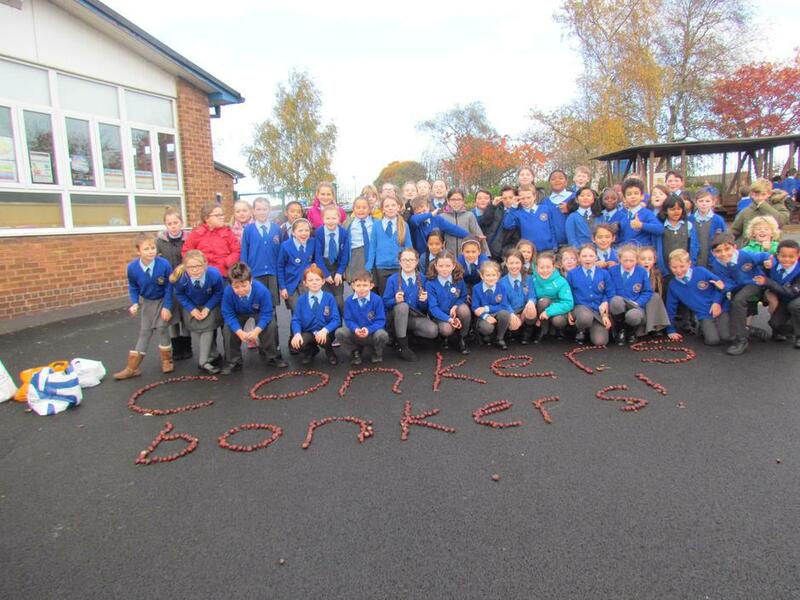 Two friends from Year 5 had also been extremely busy gathering an enormous collection of conkers for the competition. Each class had to guess how many conkers were in the box. 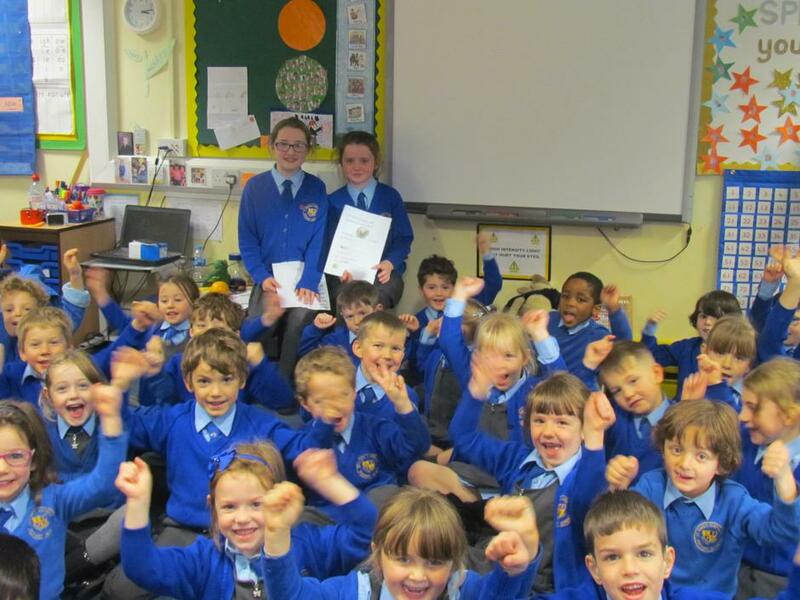 The girls presented a certificate to the overall winners Year 1, whose closest estimation was 1100 conkers, with the actual number counted being 1158. Well done Year 1 - Excellent number work! Thanks to the two girls for organising the fun competition.